Arranging Excavator Contract Hire with Ridgway Rentals couldn’t be easier or more flexible! Hire can be for varying lengths of time up to 3 years and is the ideal way to agree a discounted hire rate! We also have 1.5 ton up to 8 ton small diggers for hire in our Small Plant Contract Hire click for more details. 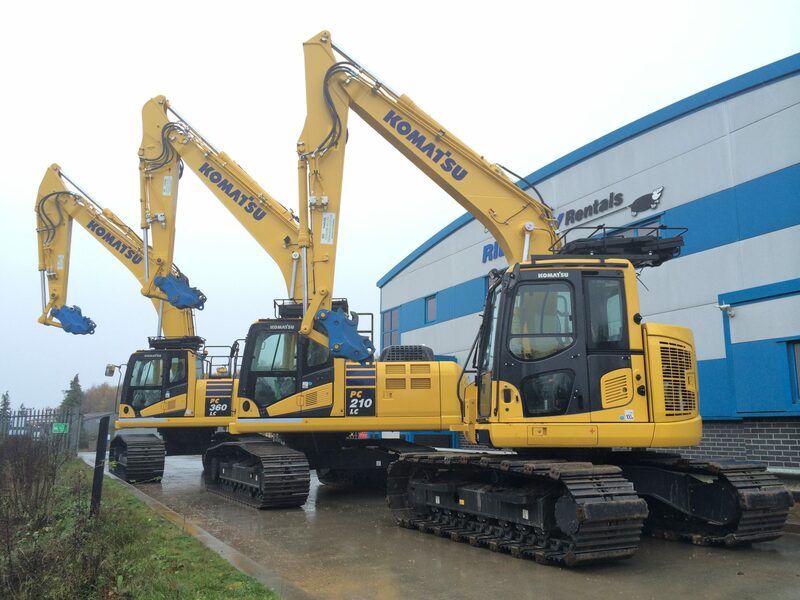 Attachments available to hire with excavators include buckets, augers and breakers etc. Also available are Rubber Tracks, Biodegradable Oil, Height and Slew Restrictors, Spark Arrestors, Double Lock Miller Quick Hitch and Chalwyn Valves. We understand that plans can change and offer contracts with complete flexibility, machines can be exchanged as needed to suit your change in requirements. All machinery is regularly serviced, thoroughly inspected and is amongst one of the most up to date Plant Hire Fleet in the UK. Contract Hire the way you want it! All machines can be supplied with a new test certificate, CE certs and Quick Hitch inspections plus they are livery free so you can fit your own company logos on. We supply to many industries including: Rail, Waterways, Forestry, Demolition, Waste Management etc. RIDGWAY RENTALS’ PLANT CONTRACT HIRE – OFFERS A COST EFFECTIVE ALTERNATIVE TO PURCHASING! Ridgway Rentals have been supplying Plant Hire for over 50 years and are now still family owned and run. We take great pride in the excellent service we offer and can supply what you want to anywhere in the UK for a price you will like.